McGowan Program Administrators offers restaurant insurance for restaurants. McGowan Program Administrators Restaurant Umbrella policy provides restaurants owners the peace of mind that accompanies having the type of insurance coverage that manages to expect the unexpected. 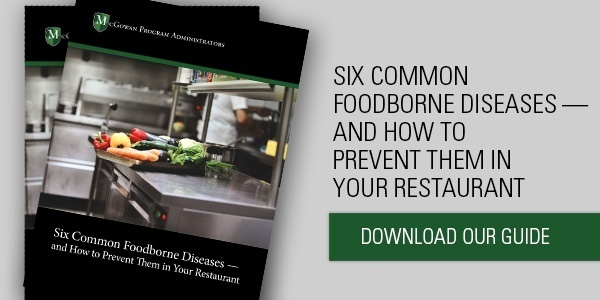 Managing a restaurant risk comes with its fair share of threats. No matter if your risk is a single store or has multi-location and multi-state operations, McGowan can help. In addition, the umbrella coverage also aggregates per location, so restaurant owners and managers need not worry about obtaining multiple overlapping and redundant policies. Most lawsuits filed against hospitality risks stem from food-related issues and managers need to know their stores and assets are safeguarded in the event of an accident. Brokers who partner with McGowan Program Administrators Restaurant Umbrella policy can find the necessary coverage for any food enterprise, from private caterers to corner delis to high-end gourmet shops. By utilizing the “Power of the Pen,” McGowan bundles together unique and distinctive insurance policies. If your submission has multiple locations, please request a Multiple Locations Application & Supplemental Spreadsheet via email. Three years of currently-valued (generated within the past six months) hard copy, GL carrier generated loss runs. Declarations pages of the underlying GL policy, showing all terms and conditions. How restaurants can avoid Chipotle’s food contamination pitfalls.